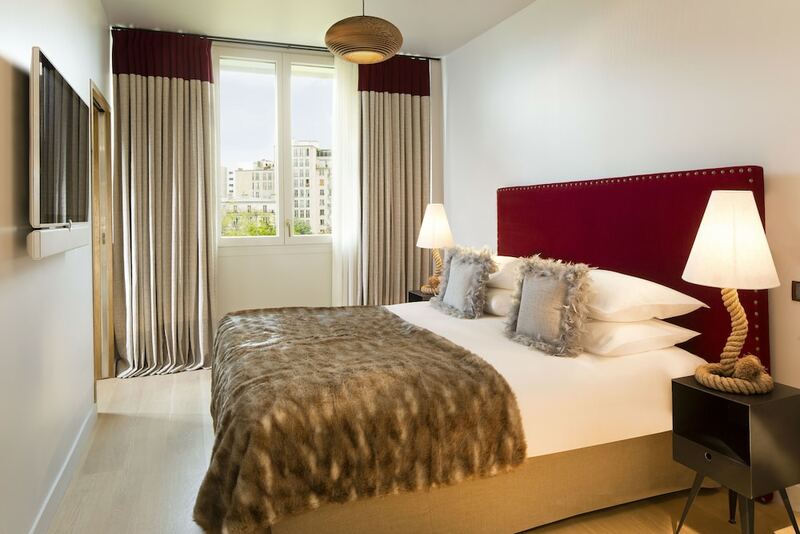 With a stay at Goralska Résidences Hotel Paris Bastille, you'll be centrally located in Paris, within a 10-minute walk of Opera Bastille and Place de la Bastille. This 4-star hotel is 1 mi (1.6 km) from AccorHotels Arena and 1.2 mi (1.9 km) from Place des Vosges. Make yourself at home in one of the 12 individually decorated guestrooms, featuring kitchens with refrigerators and stovetops. Flat-screen televisions with satellite programming provide entertainment, while complimentary wireless Internet access keeps you connected. Conveniences include phones, as well as laptop-compatible safes and microwaves. Enjoy recreation amenities such as a fitness center or take in the view from a terrace. Additional amenities at this hotel include complimentary wireless Internet access, concierge services, and shopping on site. Take advantage of the hotel's room service (during limited hours). Quench your thirst with your favorite drink at the bar/lounge. Continental breakfasts are available daily from 7 AM to 11 AM for a fee.